Are you ready for a relaxing summer? We’ve found a great piece of furniture floating around the Internet that we wouldn’t mind having in our home. 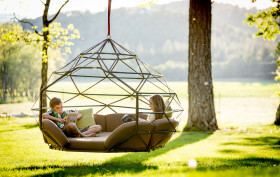 Meet the new Kodama Zomes, a unique hanging lounger shaped like a geodesic dome that offers the perfect space for relaxation, reading, meditating, or just snoozing your afternoons away. 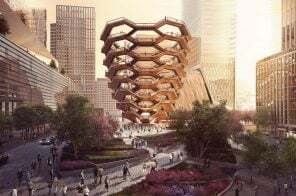 Designed by structural engineer Richie Duncan, the sturdy cocoon will help you unplug as it softly sways you with the summer breeze.